Hotel Anant Rasa is one of the famous hotels in Almora district and is located in the heart of Sitlakhet which is a beautiful hotel in the District of Almora. The total area of Hotel is 6 acres and truly depicts the unsoiled beauty of Kumaon region. It is a resort that rests in the peaceful hamlet that lies in the foot hills of the glorious Kumaon Himalayas. The resort is being constructed on the land area of Syahi Devi Estate. The hotel surrounds captivating vistas and offers scenic views to the travelers from the hotel. One surely can’t gauge the joy of snow laden peaks, paths divulging in woods, chilly breeze and pastoral allure of cedar trees. Anant Rasa is one Unit of Anantara Hotels and Resorts and promises to offer amazing look to the sky and expansive lands that are truly majestic and inexplicable. Sitlakhet is famous for its Divine shrine of Syahi Devi temple and fruits orchards that are loaded with ripe and juicy fruits. 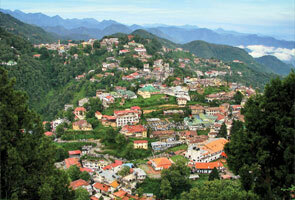 Loacted in the Almora district, Anant Rasa offer comfortable residential facility to travelers. 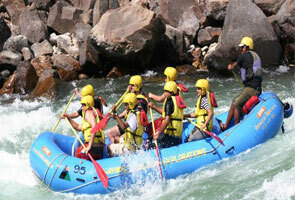 It is located close to Delhi and is easily accessible via different transportation modes. One can take a bus to the venue. The rooms are wooden eccentric rooms that have tiled flooring and bay windows that give authentic views to nature. Those who are gourmet would surely enjoy the food here. With classic surroundings of nature the sumptuous food made is simply an icing on the cake. With Tibetan starters and Anglo-Indian mains course served with hot mouth watering puddings, the food is just the best. The meals are cooked with homegrown organic vegetables and herbs. The hotel also has a club house that prepares its daily specials and offers picnic menus. One can also order drinks and beverages that are locally found here and are made of local fruits and flower extracts. The resort is completely plastic free and offers fresh ambience along with amazingly cooked food. Anant Rasa is Amritara Private Hideway that is located at the top of Siyahi Devi Estate at Sitlakhet Village of Almora District. One can reach the village through various modes of commutation. Village is connected to Kumaon area by motorable roads. From Sitlakhet, Almora is kloacted at a distance of 36kms, Bageshwar is 125kms, Champawat is 170kms, Chaukhutia is 74kms and Chaukori is 142kms. 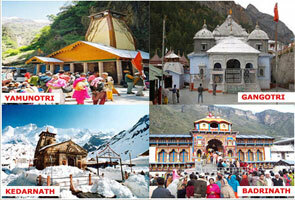 Nearest railway station is Kathgodam Railway Station which is located at a distance of 110 km. 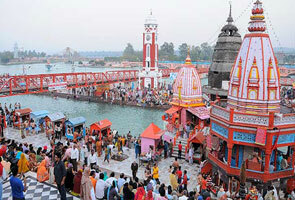 Via Rail Kathgodam is located at a distance of 104kms from Ranikhet, 106kms from Almora and 81ksm from Kakrighat. Indira Gandhi International Airport in Delhi and nearby domestic airport is at Pantnagar 110kms.